Umshyrpi College, Shillong, Meghalaya is a century old minority college that supports the education development program of the Muslim community in the northeastern region of Meghalaya. The College was recognized in the year 1994 and is guided by the Shillong Muslim Union. The mission statement of the college revolves around preparing students to face the challenges put forward by life with all their courage and dignity. The College offers pre-graduate and graduate honors programs in arts, science, and commerce. 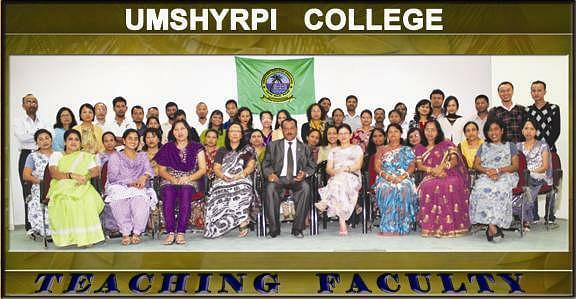 Why to Join Umshyrpi College? 1. NCC and NSS Activities: Umshyrpi College has always encouraged students to take up extra-curricular activities and the first step towards implementing the same was to establish departments for National Cadet Corps and National Service Scheme activities to support community development and social service programs in the society. 2. State-of-the-art Auditorium: Umshyrpi College has a huge auditorium established in the year 2011 and is all equipped with audio-visual facilities to support the sitting capacity of up to 250 students. The College conducts major curricular and inter-college activities in the auditorium which is probably one of the best among the colleges in the state. 3. Laboratories: Umshyrpi College provides training sessions through technical laboratories. The college has major ones as a science laboratory and a computer laboratory all supported with modern equipments, desktops, and Internet access. 4. Education for cause: Umshyrpi College financially supports the education of Muslim minority section through scholarships such as Post Matric Scholarship and Border area scholarships and freeships.